Train in the comfort of your own home with the high-quality Schwinn IC3 and Schwinn IC2 Indoor Cycle Spin Bikes. Designed for serious cyclists looking to simulate the feel of a true road bike workout, the Schwinn IC3 and IC2 allow you to continue training no matter what the weather’s doing outside! 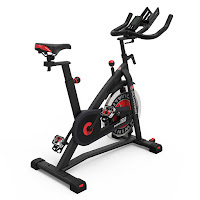 Both the Schwinn IC3 and IC2 Spin Bikes are sturdily built with durable components and ergonomically designed with lots of adjustability to give you a safe and comfortable workout. At a glance, the Schwinn IC3 and IC2 Indoor Cycles look similar in overall design, but have several key differences including a different drive system with the IC3 utilizing a 40 lb flywheel and belt drive while the IC2 utilizes a 31 lb flywheel and chain drive system. Generally speaking, the heavier the flywheel is the more smooth and consistent the momentum will be, so the Schwinn IC3 has a slight edge over the IC2 in that respect. Belt drives tend to operate more quietly than chain drives but some people actually prefer the chain drive as they feel it gives a more authentic road bike feel, so this really comes down to personal choice. Both the Schwinn IC3 and IC2 Indoor Cycles feature infinitive adjustable resistance and a push-down brake with felt-pad system that puts you in total control of your workout. Sturdily built, you can sit or stand to cycle just as you would with a normal road bike to mimic flat or hill cycling. Suitable for different user heights, both the Schwinn IC3 and IC2 Spin Bikes feature a racing style saddle that is fully adjustable (up, down, fore, aft). In addition, the Schwinn IC2 and IC3’s multi-grip position handlebars are adjustable up/down but the IC3’s handlebars have the advantage of also being fore/aft adjustable for more of a custom fit. 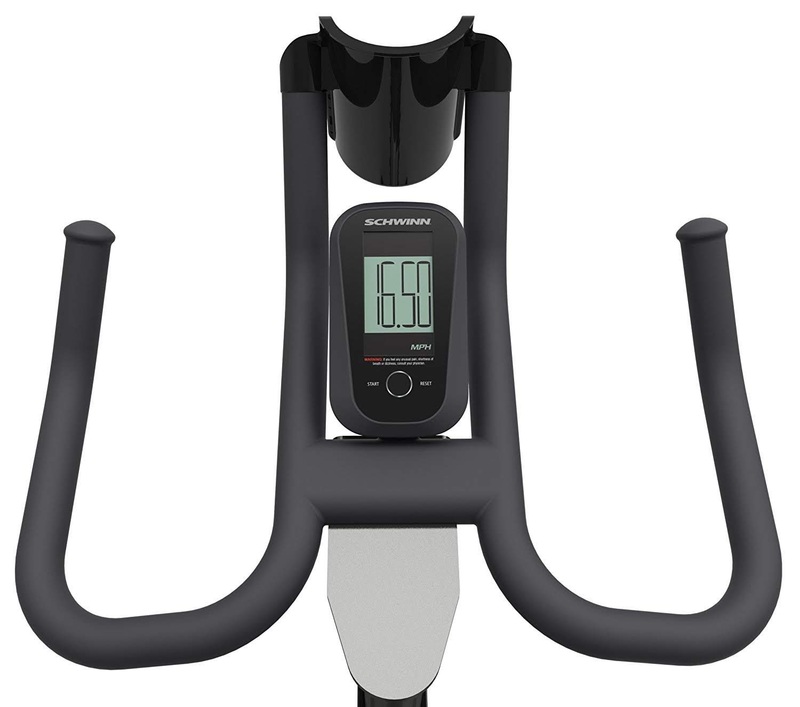 The Schwinn IC3 and IC2 Spin Bikes both come with an easy-to-use LCD monitor (powered by 2x AA batteries) that tracks and displays your workout stats including time, speed, distance, RPM and calories. 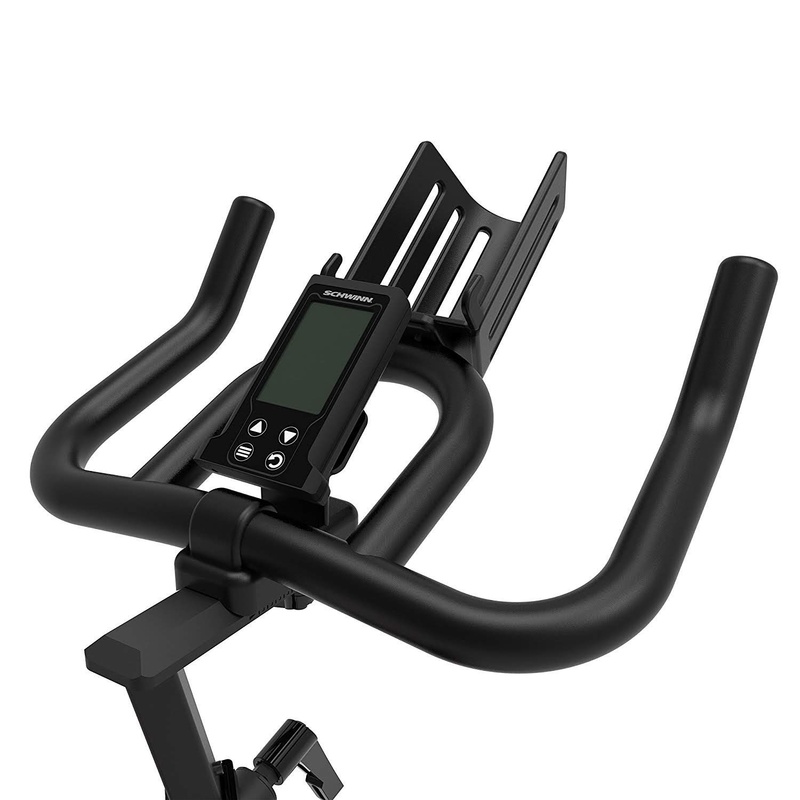 The Schwinn IC3 has the added advantage of being compatible with a Polar non-coded chest strap for wireless heart-rate monitoring, a feature that the IC2 does not have. Additional features on both the Schwinn IC3 and IC2 Indoor Cycles include dual pedals (toe cage / clip), water bottle holder, and front-mounted transport wheels for easy relocation. 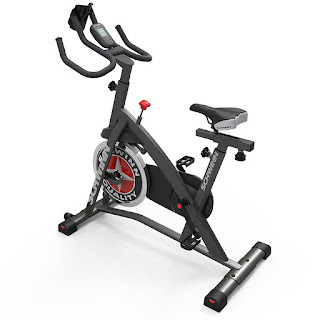 Both the Schwinn IC3 and IC2 spin bikes feature adjustable stabilizers for leveling on uneven floors and are constructed with oversized corrosion-resistant steel tubing to ensure a safe and sturdy workout. The Schwinn IC3 is the heavier of the two bikes and supports a slightly higher user weight capacity of up to 300 lbs compared to the IC2’s maximum user weight capacity of 250 lbs. N.B. It's always advisable to consult your doctor or health care professional if you are new to exercise or have any concerns relating to your health and fitness regime. 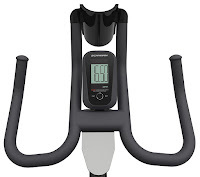 Comparing Sunny Health & Fitness SF-B901 Pro versus SF-B1001 Indoor Cycling Bike, What's the Difference?